Beautiful and absolutely unique country home on 2.5 private acres! This home is truly one-of-a-kind. 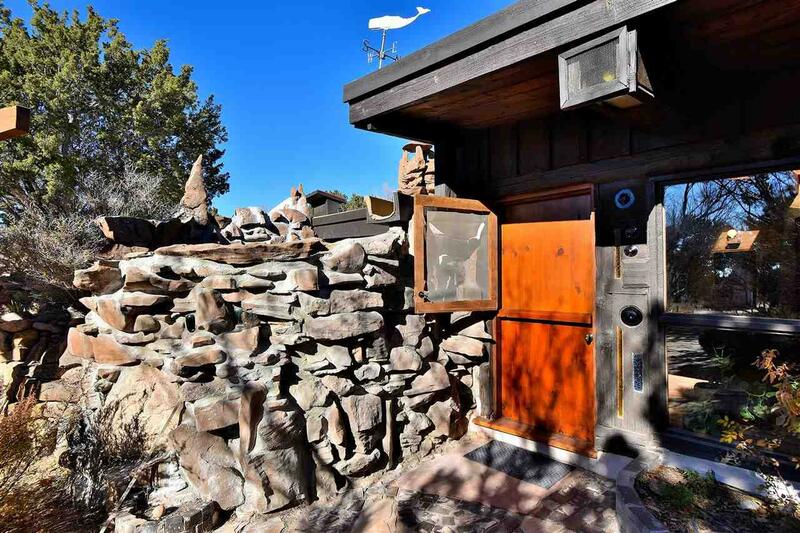 Built of rock, adobe, reclaimed wood and glass. 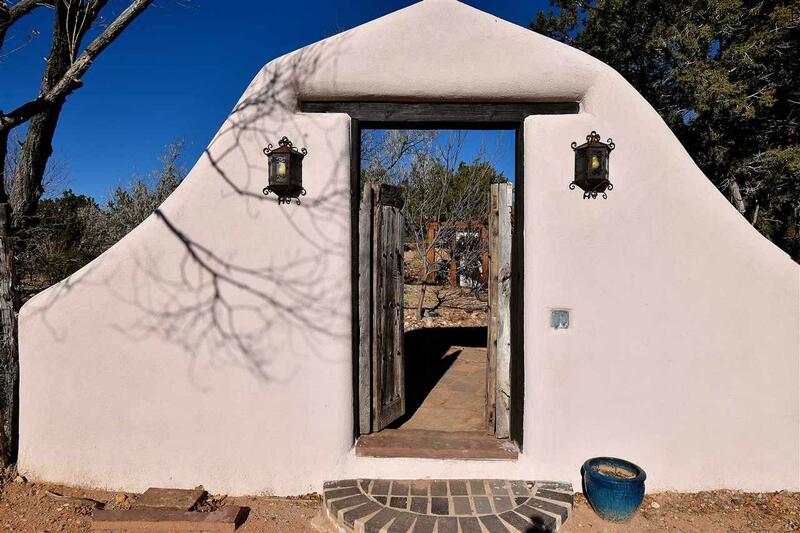 This home has beauty and true Southwest character. The home has brick floors and hand-hewn, vigas and beams, over wood ceilings. 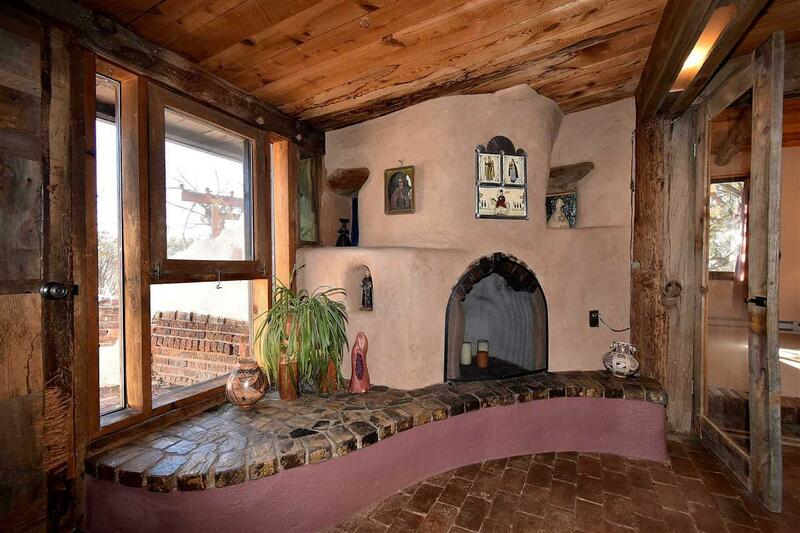 The two bedrooms and the living room have a kiva-like feeling with their curved, adobe walls and well-placed nichos. The office/bonus room, with the addition of a closet, could easily serve as a third bedroom. Fireplaces are located in the living room, dining room and the master bedroom, which is underground and naturally lit by an enormous skylight for stargazing in bed! The home has been lovingly updated and maintained, honoring its original character. Outdoor areas are gorgeous. In the front is a large pergola over an outdoor fireplace. The master bath has a door to a private, sunning space. This home is a "must-see if you are drawn to special one-of-a-kind residences. 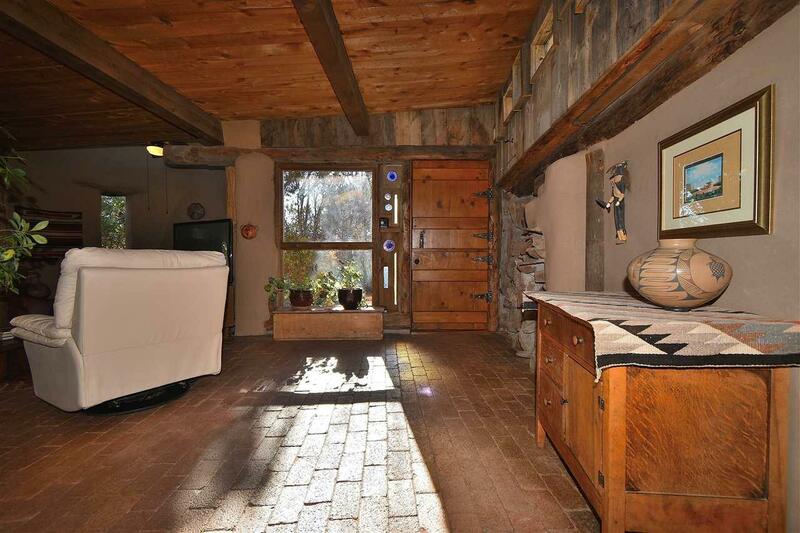 With a country ambiance, the home is close to all Santa Fe amenities.